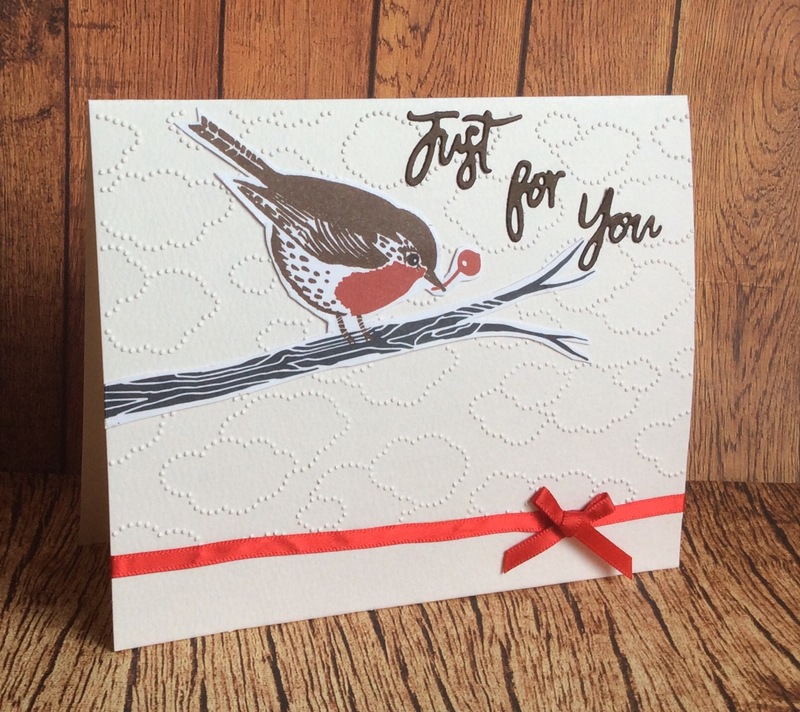 My friend gives me her Christmas Cards to upcycle and this little robin on a branch is delightful, so I cut him out and put him onto an embossed (StampinUp Cloudy Days) background. Used a red ribbon from another card of the same Christmas card batch. XCut words.